. This allows your team to opt-in to a chat, rather than having to invite people one by one. Today, we're streamlining how you create group chats to make it easier to create group chats for projects or teams. In the improved flow, you can now name your group chats more easily when you are creating a group chat. Once the group chat has a name, this allows you to create "placeholder" group chats which you can then share with a link. These improvements will be in available all three Hangouts user interfaces on the web. 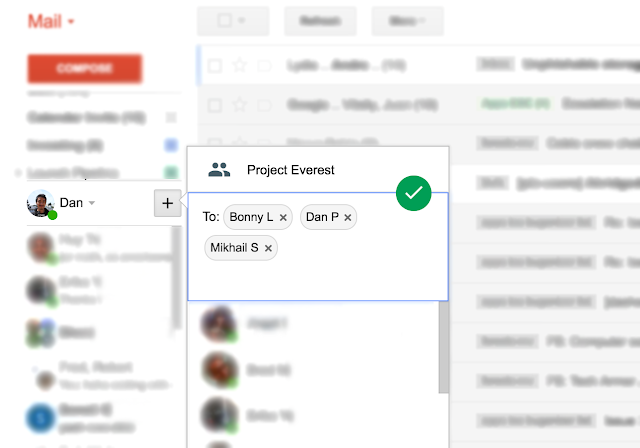 In Hangouts in Gmail, a "+" button will be available next to your contacts list in Hangouts. In hangouts.google.com and in the Chrome extension, you'll see a "New conversation" option. By clicking "New group" or "New conversation" you can name the group, start adding members, or both. Last year, we launched the ability to create and share short links to Hangouts group chats. This allows your team to opt-in to a chat, rather than having to invite people one by one. 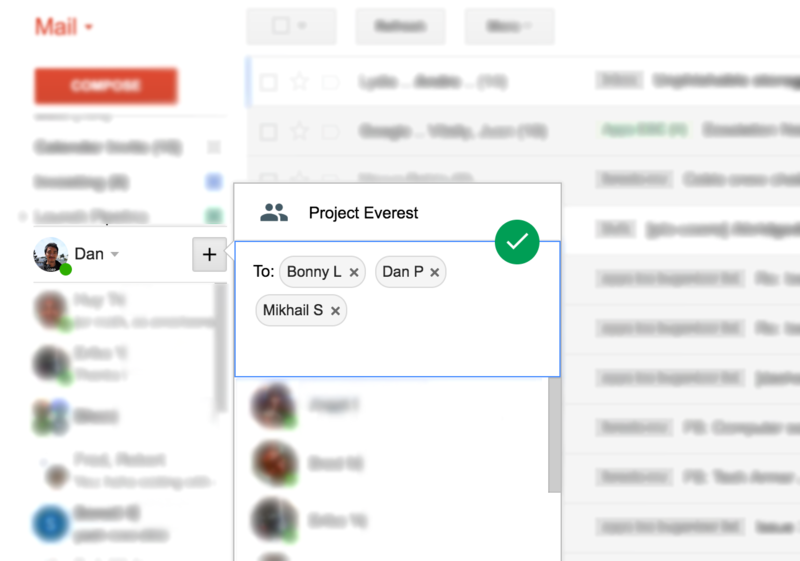 Today, we're streamlining how you create group chats to make it easier to create group chats for projects or teams. In the improved flow, you can now name your group chats more easily when you are creating a group chat. Once the group chat has a name, this allows you to create "placeholder" group chats which you can then share with a link.